"The Age of Ra” is a powerful science fiction novel exploring themes of freedom, oppression, war and love, and a desperate fight for control of the Earth. Solaris will publish the title in 2009 in both the UK and the US. For more information, read the full press release HERE. Moving on, remember my post HERE about the upcoming Dabel Brothers comic book series “The Hard Call” which is set in George R. R. Martin’s Wild Cards universe. Well, you can find the official press release for that HERE. 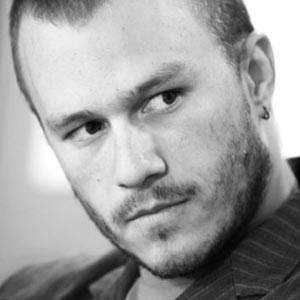 The Heath Ledger thing shocked the heck out of me. I know exactly what you mean when you compare watching "The Dark Knight" to "The Crow." It's so surreal to watch a performance by someone who has already died. What I'd like to know is when Image will finally bring out the Death Dealer collection. It was on sale for Amazon first, and now it's not anymore. I was saying something similar to my wife last night regarding Ledger. A Knight's Tale is one of my favorite movies to pop in every so often just to watch again and I will certainly look at it, and his upcoming turn as the Joker, much differently. It is a tragedy, not so much because he was a celebrity, but because it is a young life wasted...thrown away with so much living yet to do. 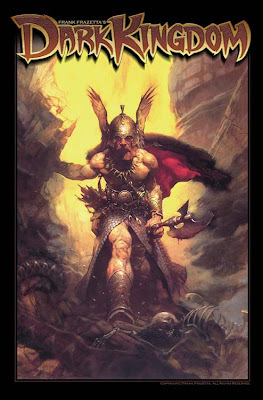 I always associate that Frazetta art with the cover of Karl Edward Wagners, "Dark Crusade", which is where I first saw it. Do you know if "Dark Kingdom" is a Kane story? David, as far as I know, the book is a one-shot standalone story starring a Viking-like character called Red Morden, but the book is set in the same universe as Death Dealer. Carl/Theresa, it was definitely a tragedy, and while he may not have been an A-list celebrity yet, I think "The Dark Knight" would have gotten him closer. Calibandar, the Death Dealer hardcover collection will be out in April.